Can Super Saver Lloris stop United from spoiling Spurs’ White Hart Lane farewell? With the penultimate weekend of fixtures looking as enticing as ever, it’s sure to be a good un’. Action kicks off on Saturday afternoon when relegated Sunderland play Swansea for the last home game of the campaign. The pressure will be off the Black Cats as they have nothing but pride to play for and this could determine what happens at the top and bottom of the table. Swansea have had a remarkable turnaround since Paul Clement became manager and one could argue that, if the Welsh side stay up, it isn’t the goal scorers that have made the difference. The Swans have kept two clean sheets in their past three Premier League matches which is a pretty good record, and goalkeeper Łukasz Fabiański’s career has certainly taken a step in the right direction since his move from Arsenal, where he was prone to goalkeeping anguishes and rarely started a game. Manchester City take on Leicester on Saturday afternoon – a win for Man City will edge them closer to Champions league qualification, which would rescue what has been a disappointing debut season under boss, Pep Guardiola. If City play anything like the way they did against Palace in their last three games then they will pick up nine points comfortably. Willy Caballero will be hoping to impress in Claudio Bravo’s absence and earn a new deal at the Etihad. Caballero is out of contract this summer and has a great opportunity to showcase his shot stopping ability. Leicester City have emerged from a brief slump to get wins from their last two matches, so they will no doubt be up for a trip to Manchester. Defender Wes Morgan is definitely out and there’s doubt about whether Robert Huth will play at the back. Good communication and organisation from goalkeeper Kasper Schmeichel therefore will help to ensure a strong defensive unit and give confidence to the Foxes back four. Southampton travel to Middlesbrough tomorrow in a game that will most likely be anything but easy for the south coast side. The Saints have experienced dire form, having gone five games without a win and failing to score in their last three. Middlesbrough goalkeeper Víctor Valdés is likely to miss out again due to injury, however he won’t be too disheartened as Manchester City are considering making a move on the shot-stopper who has kept eight clean sheets this term. With Willy Caballero out of contract next month and Joe Hart not appearing to have a long-term future at the club, City are in need of goalkeeping reinforcements. 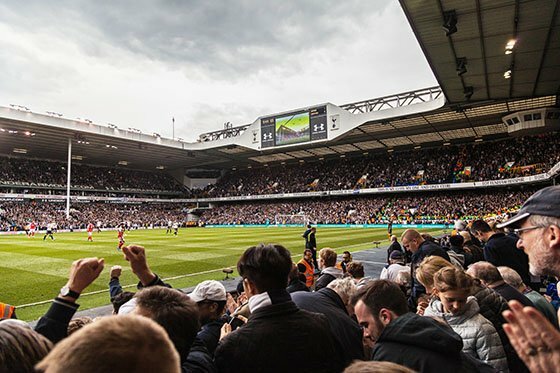 Sunday’s big fixture will see Tottenham Hotspur host Manchester United in what will be the last match played at their historic White Hart Lane. Spurs’ title hopes were crushed on their last outing to West Ham, when José Mourinho’s side suffered at the hands of Arsenal in a 2-0 defeat. Sunday is likely to be an exciting occasion with United hoping to cause an upset. Spurs keeper Hugo Lloris currently sits joint at the top of the clean sheet table with Thibaut Courtois, on a respectable total of 15. However, he will not be happy with the recent defeat from local rivals West Ham last week and will be wanting his team to rectify things. United’s David de Gea has had his head turned with interest from Real Madrid. United however, are likely to dig deep and offer a huge contract in the hope the Spaniard stays. And rightly so. He is an incredibly talented goalkeeper and it would be sad not to see him perform in the Premier League next season. Whoa! There’s so much to look forward to this weekend! I’ll be back on Monday with the latest update on the weekend’s games. Until then, have a great time saving!